REACH STUDIO ART CENTER is a non-profit community art studio located in the REO Town District of Lansing, Michigan. REACH offers out-of-school visual art education for youth of all ages (2-18), and adults from the Greater Lansing Area, taught by local artists and art educators. change and improve the lives of our community’s youth. REACH has been running successful, youth driven educational art programming dedicated to mentoring underserved youth, urban revitalization, and strengthening community since November 2003. This is done through connecting artists with local residents, bringing diverse individuals and groups together, and creating an atmosphere of shared pride and creative problem solving. REACH Studio Art Center was founded in November, 2003 by local textile artist, Alice Brinkman. Strategically locating the art center at the edge of two urban neighborhoods and along the S. Washington Avenue corridor, places REACH in the heart of Lansing and in walking proximity to thousands of residents. The charming, but run down brick store front building was renovated into a neighborhood art space. Staff, board members, volunteers, and contracted art teachers have worked hard to develop this community resource for youth art-making and education. 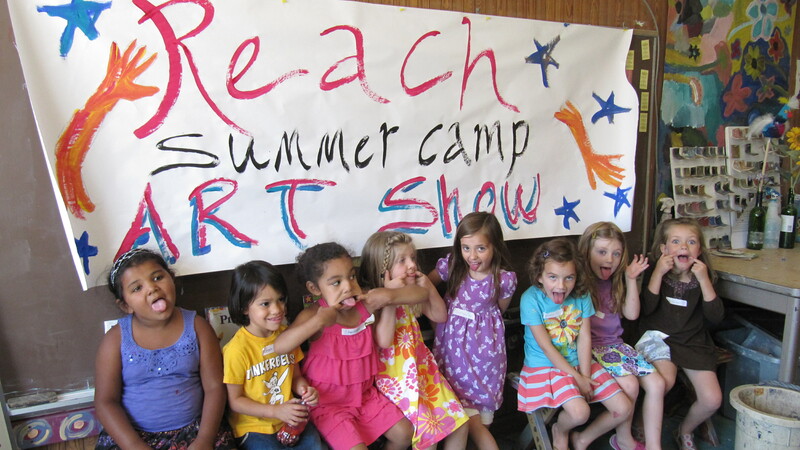 REACH became a non-profit corporation in February, 2004 and since then has serviced thousands of community members with financially accessible art programs for children and adults. REACH is committed to the vision of providing creative, visual art-making experiences especially to those who may find art making activities difficult to access, due to location or cost. REACH youth programming is offered on a sliding scale to families who find it financially difficult to access out-of-school art education. Three tiers are available based on household income. Grants, donations, and revenue from fee-based programs provide the necessary revenue to continue serving the community with affordable and innovative art education. REACH has received numerous local and statewide grants and awards since its inception in 2003, including local, state and federal funding. REACH is a member of the Arts Council of Greater Lansing, and an affiliate of the Capital Area United Way and benefits from many partnerships throughout the region. REACH collaborates with a wide variety of area organizations who together imagine and plan creative ways to strengthen the community through art and creativity. Just a few of REACH’s key programming partners include: The Lansing School District, The Power of We Consortium, Michigan State University (various schools and departments), Lansing Community College, The City of Lansing, and Impression 5 Science Center. Starting in fall 2013, REACH began a transition to a larger home space, preparing for the redevelopment of 5 storefront buildings (including the building REACH leased and occupied since its beginning) along 1800 S Washington Ave. The staff, students and board are excited to join the momentum in REO Town as REACH contributes to community improvement and creates a visually inviting South entry point to the district. On August 28, 2013, REACH purchased the property from Bill & Nancy Houghtaling – long time Lansing area residents and community activists – which was made possible by a Capital Region Community Foundation Impact Grant Award for $75,000 in 2011. In 2014 the new youth art gallery and adjacent outdoor courtyard was completed, in 2016, classes began taking place in the newly renovated main hub, and as of 2018 REACH has started offering digital, textile and performing arts classes out of three new classrooms. We are ever-so-grateful for the tremendous community support that has made it possible for us to develop this corner of REO Town into a fun and inviting space for the whole community. We look forward to completing renovation to the entire 10,000 square foot facility by the end of 2018. Please check our Expanding Our REACH pages for more information! Dan O’Leary President/Owner, Silver Lead Co.